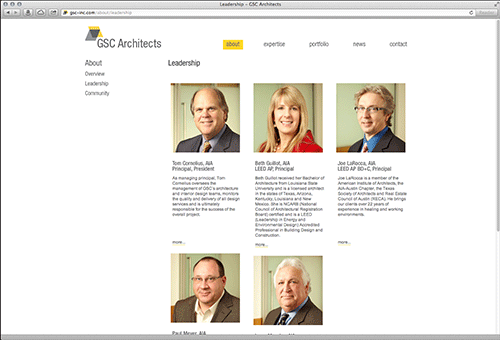 Long-time Austin architects Graeber, Simmons and Cowan were having a bit of an identity crisis. None of hte namesake partners were involved in day-to-day operations any longer and their website had become stale, having been difficult to update with any regularity. With all of this in mind, they came to Staats Falkenberg with a new name, but no identity or website to go along with it. 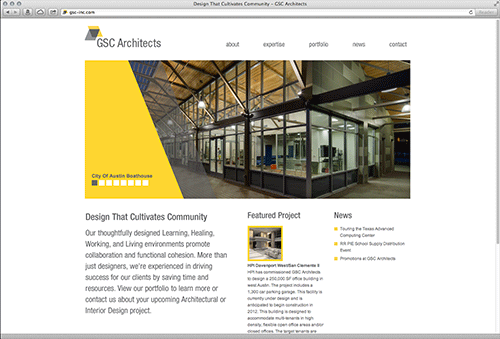 Working closely with the partners and the marketing staff at GSC we helped develop a new identity that retains echos of their past identity, and a modern content managed website allowing them to keep their most readily accessible communications vehicle as up-to-date as posible. 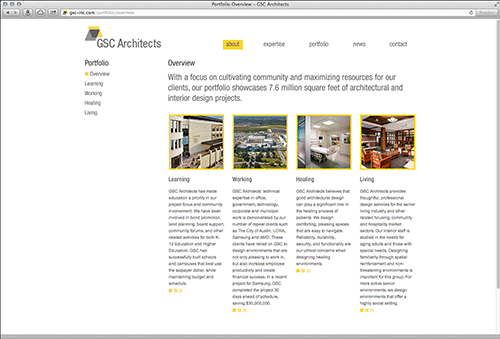 You can learn more about GSC Architects at gsc-inc.com.